Hi, I'd like to show you this page I found on A1 Furniture & Mattress's website. The Antoinette Traditional Mirror by Steve Silver at A1 Furniture & Mattress in the Madison, WI area. Product availability may vary. Contact us for the most current availability on this product. Case Detail Elaborate wood trim, leaf motifs, arrow feet, and arched mouldings. 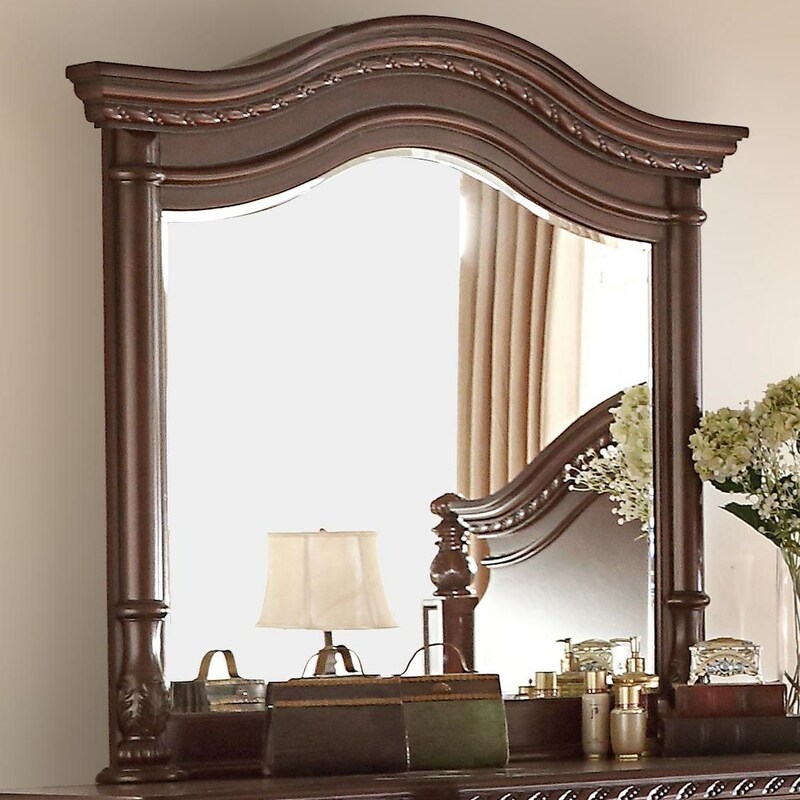 Gracefully furnish your home with the traditional, Victorian-styled Antoinette collection. Offering three dining sets, an occasional table group, and a bedroom group, this collection will effortlessly bring formal style to every room in your home. 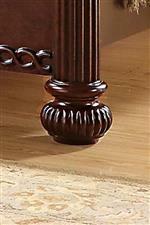 Fluted posts, leaf motifs, and decorative wood trim enhance each piece for that luxurious, traditional look. 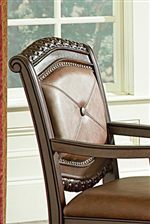 Sleek, leather-like chair upholstery adds to the sophistication with smooth, plush comfort. Doors and drawers are accented with Victorian styled bail hardware for the finishing touch. The dining tables include leaf extensions to easily accommodate friends, family, and guests. Furnish your living room, dining room, den, or bedroom with the delectable Antoinette collection. The Antoinette collection is a great option if you are looking for Traditional furniture in the Madison, WI area. Browse other items in the Antoinette collection from A1 Furniture & Mattress in the Madison, WI area.